Tracey CostescuCommission Portraits & Original Artwork: Watercolor for the Absolute Beginner Class...Only 1 Spot Left! 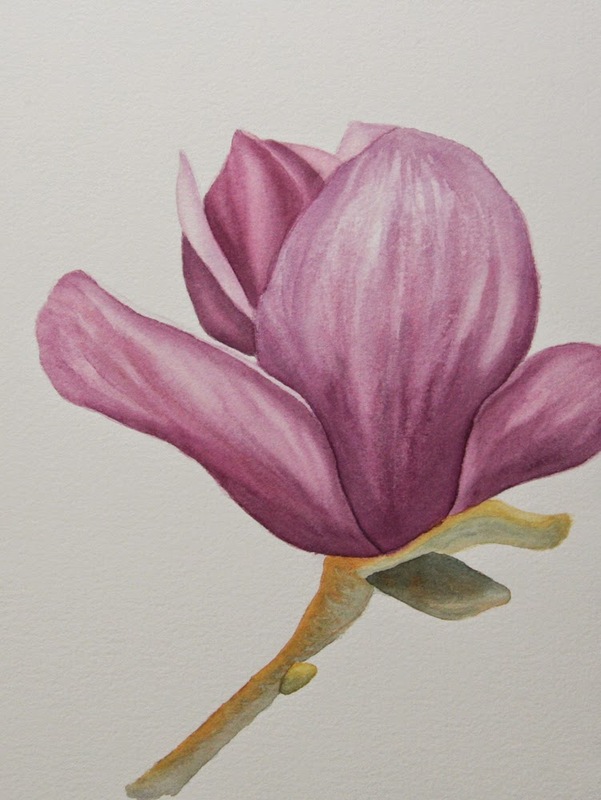 Watercolor for the Absolute Beginner Class...Only 1 Spot Left! For the final project in my last Watercolor Painting for the Absolute Beginner we painted similar flowers and I enjoyed painting them so much, I thought I would paint more flowers just for fun. This is a little painting I have been working on. I LOVE magnolias and they are blooming everywhere I look right now! My next Watercolor Painting for the Absolute Beginner starts March 23, 2015, only one spot left! Please visit http://register.asapconnected.com/EventDetail.aspx?pk=343497 to register or call (604) 931-2008 for more information.